Bukhalid is also the founder of the Lebanese Academic and Research Network (LARN), co-founder of the Lebanese Broadband Manifesto Support Group (LBSG) and BeirutIX, the first Internet Exchange Point in Lebanon. He is also a co-founder and ex-president of the Internet Society Lebanon Chapter; co-founder and CEO of the Lebanese Internet Center; and advisory board member of the Lebanese Canadian Tech Hub. 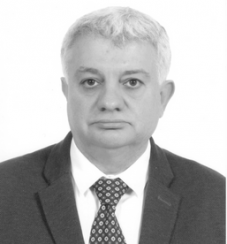 In this capacity, Bukhalid contributed to many Internet governance, strategic planning, capacity-building and research efforts in the EMEA region, and organized and presented in numerous conferences on technical, governance and socio-economical concepts related to the Internet, multi-stakeholder governance, knowledge society and open data. He attended AUB, where he earned both his Bachelor of Electrical Engineering (1981) and EMBA (2006).